1800w 14 inch electric chainsaw. The Cobra CS35E 1800w electric chainsaw is built to tackle the most demanding jobs. Whether you're pruning or cutting firewood, the 14 inch Oregon bar and chain is up to the job. The CS35E is always ready to use, you simply plug it in and you are ready to go. 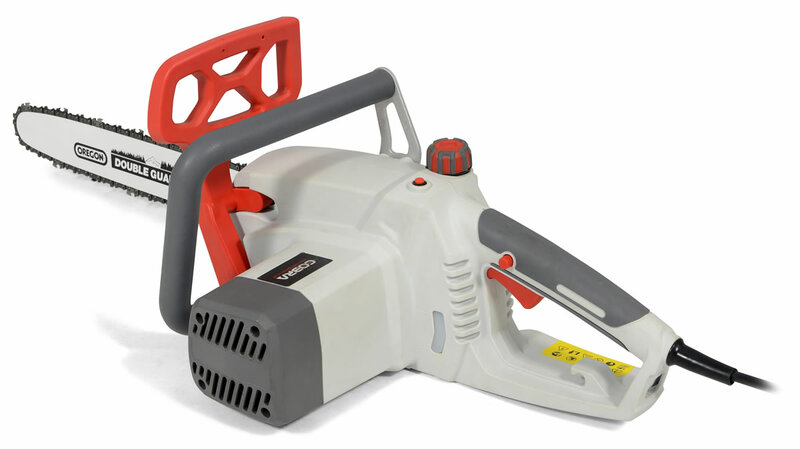 With its powerful 1800w motor, it will cope with all domestic tasks around your home and garden. 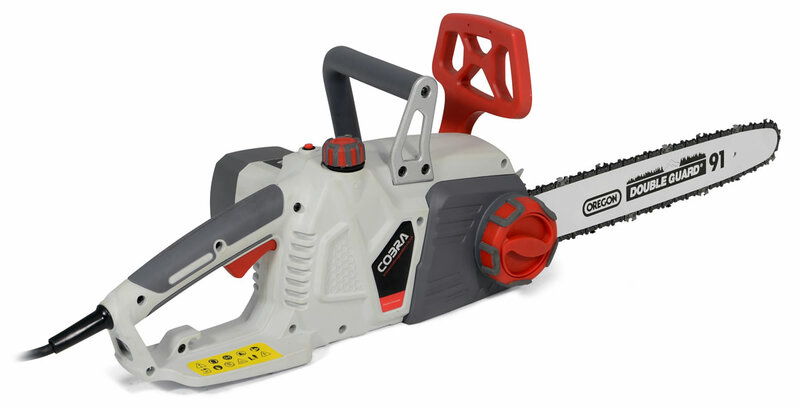 The lightweight CS35E electric chainsaw from Cobra may only weigh 5kg but it is no lightweight in its performance. Combining its 1800w power with an Oregon bar and chain means the CS35E delivers a powerful and clean cut making it the perfect saw for pruning branches, cutting firewood or tending young trees.